Wait... what?!!! The desert has water in it? Yes, you read that right. When I read this I just had to see it for myself. 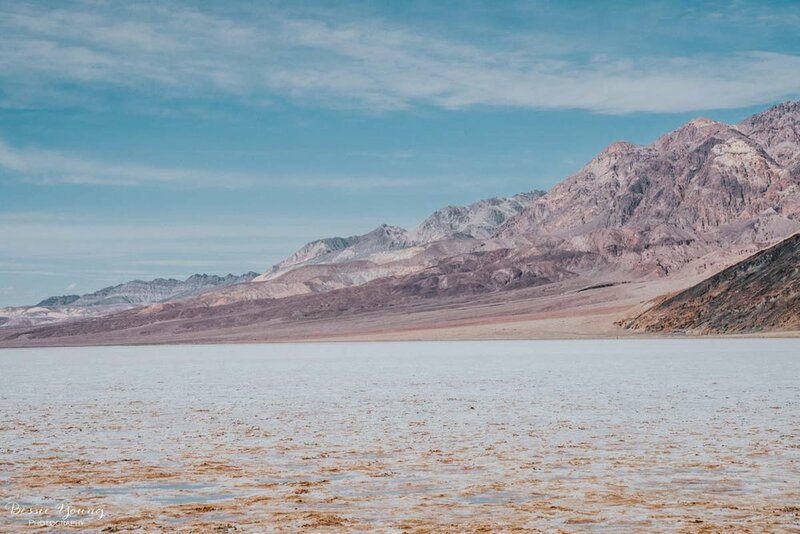 This meant last minute scheduling for a fun adventure to Badwater Basin in Death Valley National Park, California. 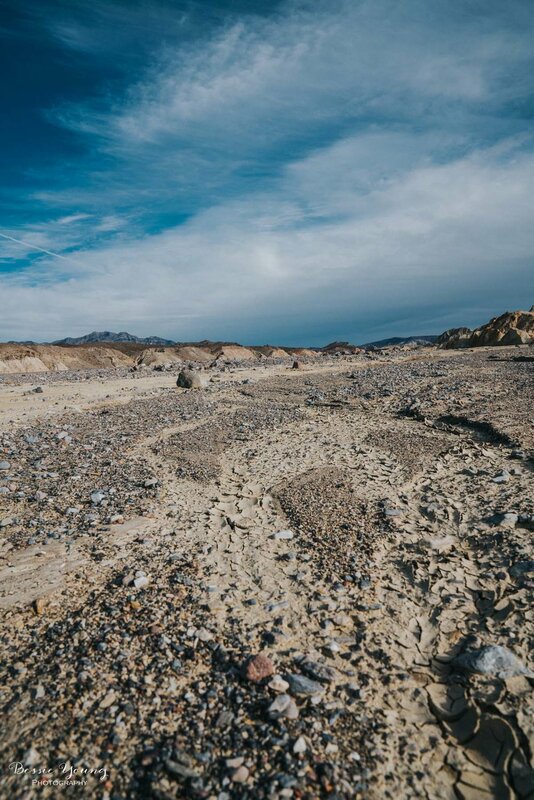 California has been having quite a bit of rain this year which has caused some amazing natural phenomenons such as water in the desert. Driving over to Death Valley, I decided to head South into Tehachapi and then North to Death Valley. This was mainly due to all the passes near my area being closed for the winter. The trip was about 6 hours long. Heading into Death Valley was so exciting and there are so many places to stop and take pictures! I had a hard time not stopping every 2 minutes. I was so excited to finally make it to the trail head. 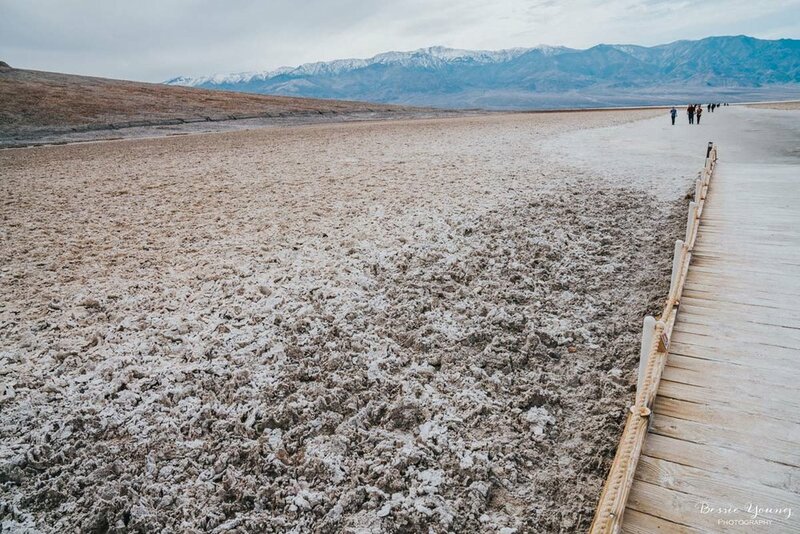 Badwater Basin is well below Sea Level which is amazing! All the mountains around it are 3000+ feet! At the trail head you can look to the East and see a sea level sign up on the mountain above you. The trail head was busy and there wasn't a ton of parking; however, there are bathrooms which is a plus :) . This trail is not pet friendly so also keep that in mind while you plan your trip. The trail is flat and easy. With the water in the basin the trail ended up being about 3/4 of a mile. Typically the trail is around 1 mile. The only warning I would say about this area is to make sure that you go during the cooler weather. It is flat, hot, dry, and there is no shade. Luckily I went in February so the weather wasn't too much of a concern, but it was still quite warm. Difficulty: Easy . The trail is flat. 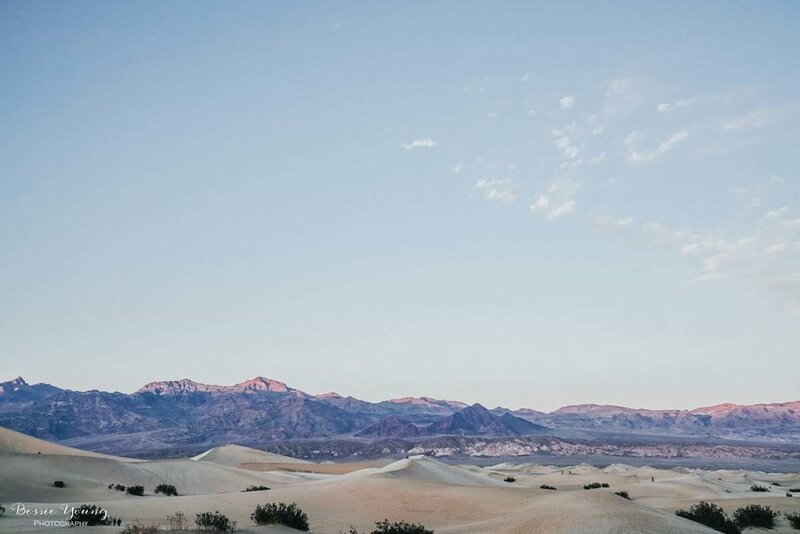 As I made my way out of Death Valley I stopped at the Mesquite flat sand dunes. This is where I spent the remainder of my day and stayed into the twilight hours. 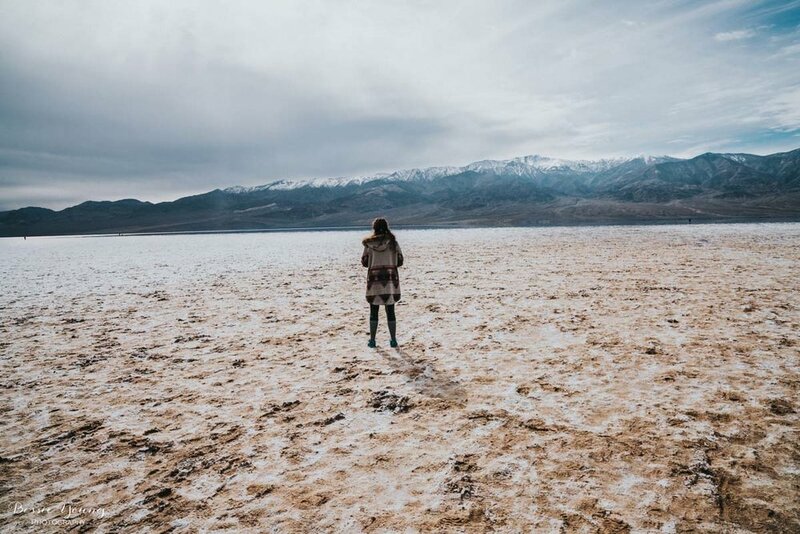 Adventuring into Badwater Basin was so much fun. 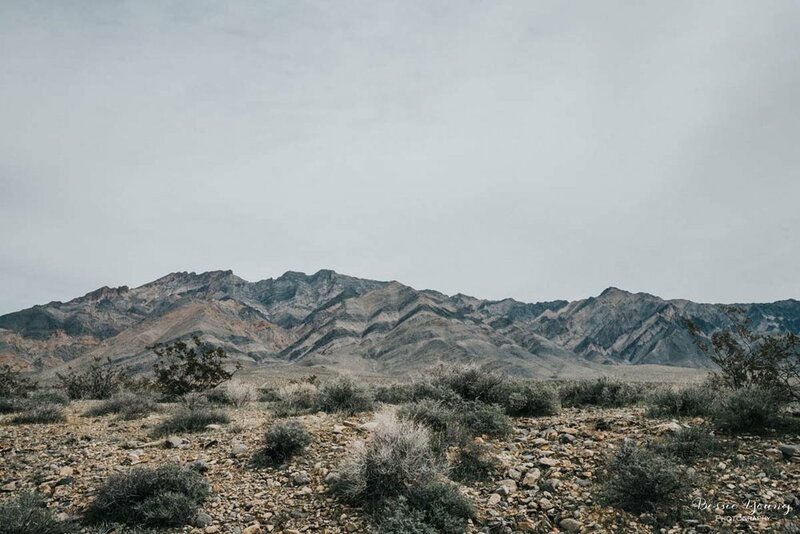 As I traveled out of the desert I started to really think how amazing California landscape really is, and how amazing it was that I have never been to Death Valley. I live not too far away but for some reason I haven't ever gone. Now, I am excited to say that I have seen it for the first time and it definitely won't be the last. 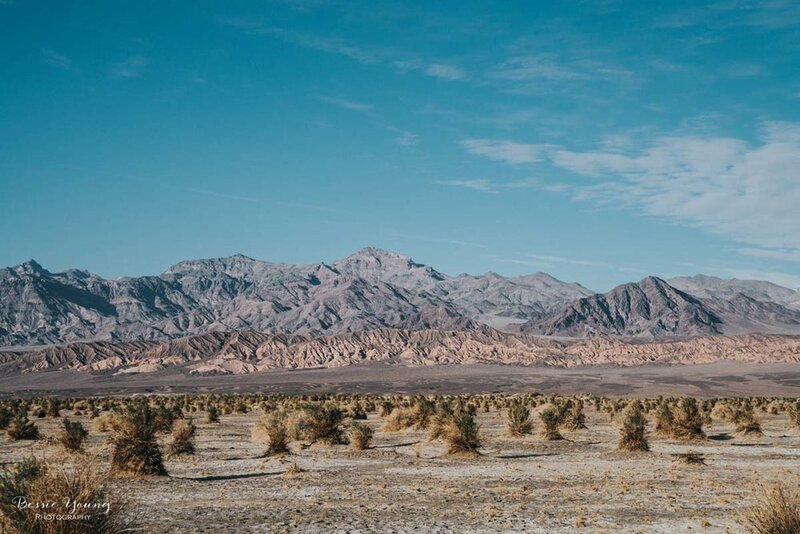 Have you ever been to Badwater Basin or Death Valley National Park? Tell me about your experience in the comments below. If you loved this post make sure to keep in touch by subscribing to my newsletter! Plus, each month I send out a fun FREE cell phone background of one of my featured images. Sign up here. All images are for sale in my Shop so make sure to check that out when you get a chance.